Frozen strawberry cheesecake bites are even more delicious than they sound and so much easier than you’d expect to make. This sugar free, gluten free, low carb dessert is one everyone will love, too! Low carb, sugar free no bake cheesecake meets decadent chocolate in this dessert that will have you begging for more! Frozen strawberry cheesecake bites are simple, refreshing, and full of summery goodness. 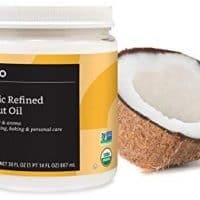 They are the perfect dessert for a holiday weekend celebration, to enjoy after a dinner on the grill, or to keep on hand as a healthy indulgence. 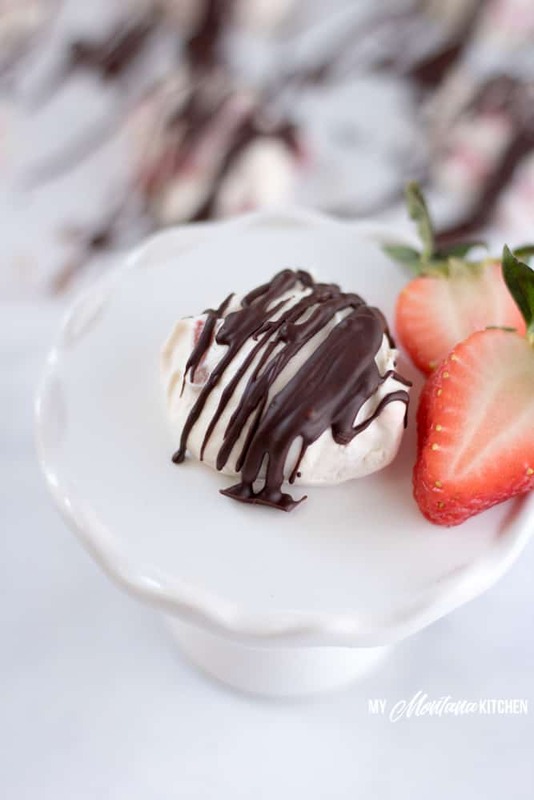 One of the best parts is that you don’t ever have to turn on the oven, which makes these chocolate covered cheesecake bites even more perfect for summertime fun! 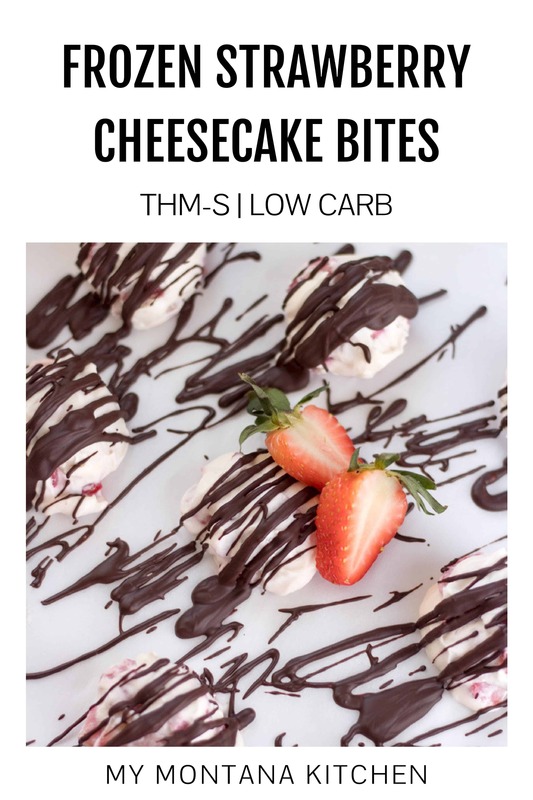 Plus, they are bite sized which means these mini frozen cheesecakes make a great choice when you want just a little something extra special. 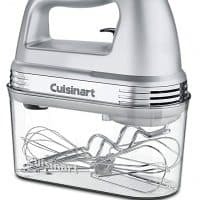 These are also a dessert the kids can help you make, if you enjoy cooking together as a family. My kids enjoy eating these cheesecake bites together as a family, for sure! The first step is to whip up your sugar free strawberry cheesecake to roll into bites. It’s so easy! There are only four ingredients and no oven involved. You’ll simply mix together softened cream cheese, heavy whipping cream, low carb powdered sugar, and strawberries. That’s it. This means you need to plan ahead just a bit. It’s better to let your cream cheese soften on the counter than to help it along in the microwave where it can get too soft or even end up with hot spots. Simply take it out of the fridge, set it on the counter, and it will be ready to use when you’re ready to bake. Or not bake, as the case may be. Don’t you love how easy this is? Unlike your cream cheese, whipping cream gets fluffiest when it’s nice and cold so keep your cream in the fridge until you’re ready to use it. You can use Trim Healthy Mama’s Gentle Sweet or make your own homemade sugar free powdered sugar for this recipe. To get the absolute best flavor for your no bake strawberry cheesecake, you really need to use fresh strawberries. Frozen berries will get too softy and juicy; plus, nothing beats the taste of red, ripe berries in the summer! 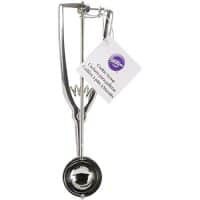 Use your stand mixer or a hand mixer to cream together the cream cheese, whipping cream, and confectioner’s “sugar.” But when you add in your diced fresh strawberries, gently fold them in with a spatula or wooden spoon. Now comes the fun part! Using your favorite cookie dough scoop (or your hands), make little bite sized mini strawberry cheesecakes. Place them on a parchment paper lined cookie sheet and then put them in the freezer. Leave them there until they are completely frozen. This is important, because you don’t want them to melt into a mushy glob when you cover them with your decadent chocolate drizzle. While your mini cheesecake bites are freezing, it’s time to make your low carb chocolate shell. This is so easy you’re going to want to chocolate dip all.the.things. Seriously. 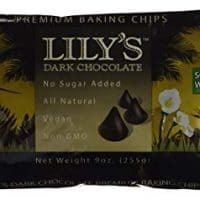 Simply microwave some Lily’s chocolate chips with coconut oil in 20-30 second intervals, stirring well each time, until the chocolate is melted and smooth. That’s it! Then drizzle the melted chocolate over your strawberry cheesecake bites, return them to the freezer, and you’re done. 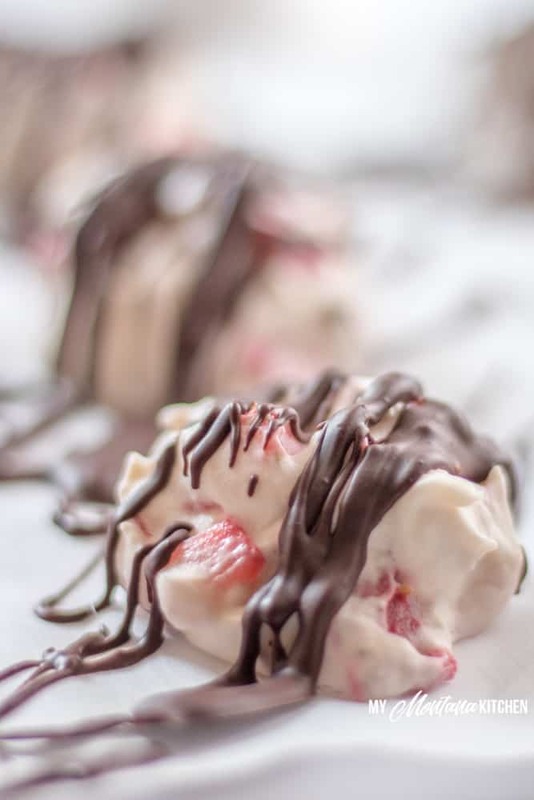 Low carb chocolate covered strawberry cheesecake bites are a great dessert for holidays, unexpected company, and busy nights you want to add a touch of special to because they are the perfect make ahead treat. You can put them together on the weekend and enjoy them all week long. 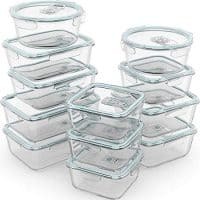 Your temptingly delicious low carb dessert will keep for up to two weeks in the freezer when stored in an airtight container (if you can resist them for that long and the kids don’t know where you keep them). Before you put them in your freezer container, however, make sure they are solidly frozen on the cookie sheet or they’ll freeze to one another. Take them out just a few minutes before you’re ready to serve or enjoy; these are meant to be enjoyed nice and cold and still frozen. Click here for 2 FREE weeks of menus, shopping lists, and MORE from My Montana Kitchen! Frozen strawberry cheesecake bites are even more delicious than they sound and so much easier than you'd expect to make. This sugar free, gluten free, low carb dessert is one everyone will love, too! In a medium bowl, whip the softened cream cheese with the sweetener and heavy cream. When mixture is slightly thickened, add diced strawberries, and stir gently to mix the strawberries into the cheesecake mixture. Scoop into mounds on a parchment lined cookie sheet and place in the freezer. When cheesecake bites have completely frozen, drizzle with the melted chocolate mixture. To make the melted chocolate, simply microwave the chocolate chips with coconut oil in 20-30 second intervals, stirring well after each, until the chocolate is melted and smooth. Return chocolate drizzled cheesecake bites to the freezer to harden the chocolate. 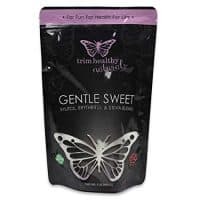 If you do not have Gentle Sweet, you can use my Low Carb Powdered Sugar in the same amount. 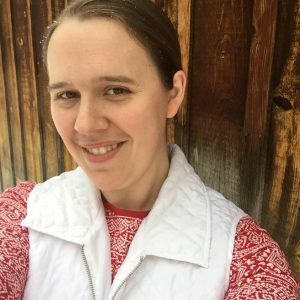 « April No Cheat Challenge – Stay on Plan for 2 Weeks! I have Super Sweet, can I use that instead of Gentle Sweet? Sure, but I would only use half the amount. Cheesecake is my husband’s absolute favorite dessert. And, his birthday is coming up, so these yummy bite-sized versions are a great idea! The kids will love it too! 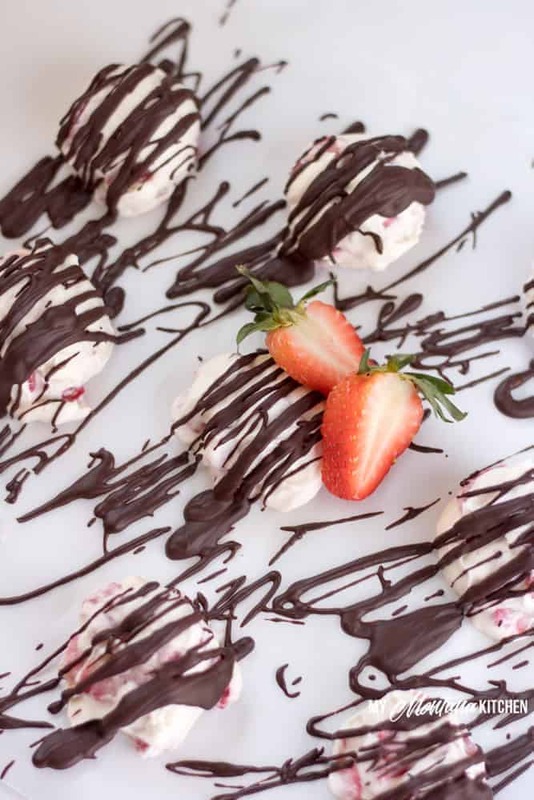 Those strawberry bites sound so very good….can’t wait to make them! Thanks for your awesome recipes! I love mini desserts like this. They are so fun to eat. Thank you SO much. Going to make these today! I love your recipes! Do you think I could use freeze dried strawberries?